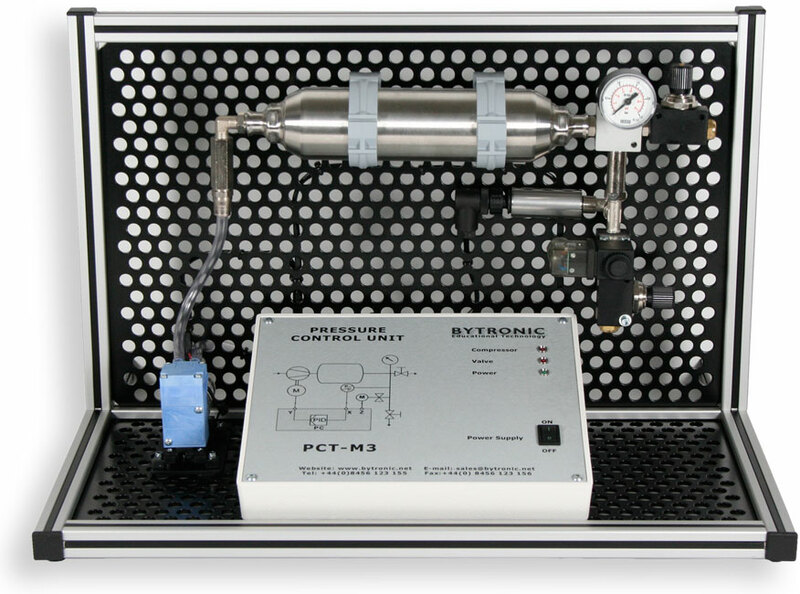 The PCT-M3 Pressure control trainer system enables the study of the principles in pressure control and monitoring in a pressurised system. 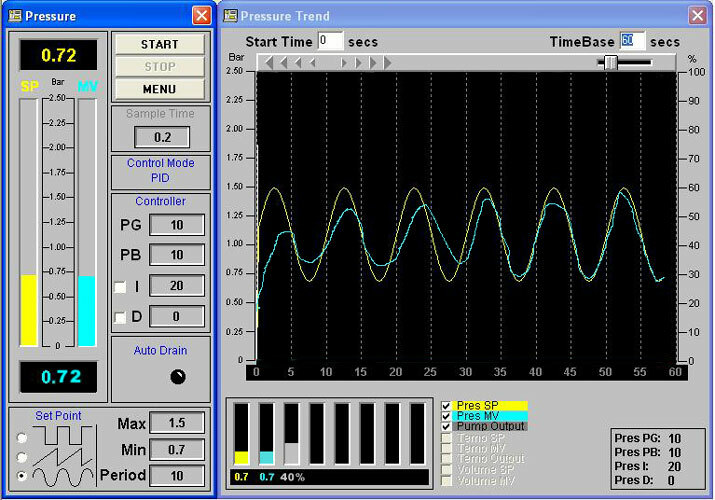 The system is self-contained and only requires connection to a PC through a USB. The control module is contained on the unit and has a mimic of the systems and LED indication. The PCT-M3 can be controlled through the graphical based software supplied with the unit providing PID control. The systems comprises a compressor connected to a reservoir tank, a regulator valve, a pressure sensor, a needle valve to add a disturbance and a pressure gauge to indicate the pressure in the system. The built in compressor provides for a safe working environment and removes the need for connection to an airline or additional compressor.